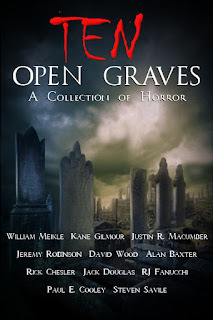 Please check out Ten Open Graves! Confession: I like Dan Brown's books. I don't love them. Sometimes I put them down and pick them back up over the course of a few months but I always make it to the end and enjoy each enough that I always read the next one. It's easy to criticize Brown's work. Every time he puts out a new book the critics come out. His prose, in particular, is low-hanging fruit. It's objectively problematic in some areas. But that's not what I want to talk about today. 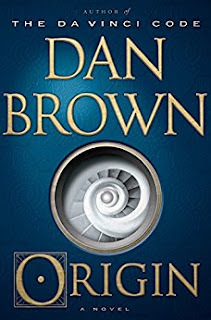 The fact of the matter is, Dan Brown sells a ton of books and has a ton of fans, and he was already popular before the Robert Langdon movies and the massive advertising dollars his publisher pumped out in the wake of the success of The DaVinci Code. So, what is he doing right? Is there anything an author can learn from Brown's work? Today I'm going to touch on what I think are a few of the things he does that "hook" readers. Brown loves to poke the badger when it comes to religion. Secret lives of prominent Biblical figures. Secret paramilitary groups within Catholicism. Scientific discoveries that disprove tenets of the faith. The best example was, of course, The DaVinci Code, which springboarded Brown to superstardom. 2. "I didn't know that!" While Brown sometimes plays a little loose with the facts for the sake of the story (something I firmly believe in doing) he frequently presents the reader with lots of new concepts, theories, legends, historical anecdotes, and settings. Brown takes the reader to places of which they've never heard and makes them think about things they've never considered. 3. Don't tip your hand too soon. One of the important aspects of a good thriller (at least the sort I like to read) is the underlying questions that keep us turning the pages. Some thriller authors don't make an effort to preserve any sense of mystery. Consequently, books are mostly a series of action sequences in which you know the hero is going to survive, and all the reader has left to wonder about is how the protagonist will get out of each situation. Brown spoons out details with tantalizing slowness and the complete answers don't come until the end. Brown's hero, Robert Langdon, is always trying to solve a mystery, but these books aren't really mystery stories. The clues aren't there for the clever reader to piece together. Instead, Brown takes us on a journey through exotic and interesting locales as Langdon follows the trail of bread crumbs that lead him to the place where the answers lie. Consequently, it's more like a scavenger hunt than a mystery, but it keeps the reader interested and serves as a device to include some of Brown's favorite plot elements: codes, ciphers, artwork, and architecture. 5. Who is the puppetmaster? Langdon is typically being pursued by a dangerous killer who works for someone unknown, often with a code name. Brown intersperses Langdon's narrative with scenes from the POV of characters who might be bad guys, might be good guys, or might be neutral. Figuring out whose side everyone is on and who the real puppetmaster is keeps me reading. Angels and Demons is one of the better examples of this technique. This is typical thriller fare, but it merits mention. There always needs to be a reason why the protagonist takes action and doesn't just call the police and then go back to regular life. There also needs to be a sense that the protagonist is in danger. Brown does this well. Like the revelation of the puppetmaster, the reader can count on Brown delivering a surprising twist at the end that lets the reader see everything that has happened in an entirely different light. Inferno, for example was a slog for the first half or more of the book, but the final act picked up the pace and delivered a satisfying twist at the end. In fairness, I think there are plenty of thriller writers who are doing some form of the above, and maybe even doing it better. But others are not. To me, the early "tipping of the hand," early revelation of the "puppetmaster," and the lack of a twist at the end are things I see all too often. Also, I've heard many authors say they're hesitant to revisit subject matter that other authors have covered before, thus, the Bible-related legends often go unexplored. It might be true that editors at "Big Five" publishing houses might not want another story about Atlantis or Noah's Ark, but lots of indie authors have enjoyed success crafting their own stories around popular subject matter. Overall, I think Brown's hooks can be useful, particularly to thriller writers.